it’s 3:00pm in south australia on dec 31.
rather than making the trek back home for the holidays (we will do a belated version of that in a few weeks), this year we decided to stay put in oz and soak up the summer sun (it’s been between 85-95F everyday this week). our residence for the week has been a bay front property in the coastal town of port lincoln (7 hours from adelaide). our house (shared w/ friends) has a private dock, kayaks and some inviting water just 20 ft. from the front door — i feel pretty lucky (though I must admit, I have missed the snow just a bit). since many of you still have a good 24 hours before the clock strikes midnight and the year turns to ’12, i thought this might be the opp0rtune time to post a cool little project. 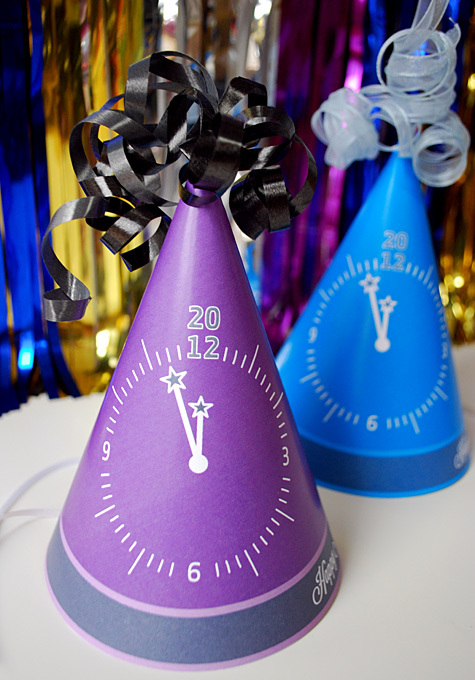 these hats are a perfect compliment to countdown time… see the pic + check out the details. 3.2.1. – HAPPY NEW YEAR!